Stock size pulley for 912 & 356. This kit uses a 1/2 crank sensor (not included) and 60-2 crank trigger wheel. 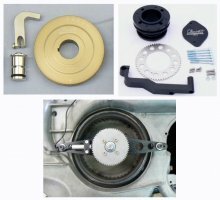 The air pump must be removed to install this crank trigger kit.